Republican presidential candidate Newt Gingrich is expected to suspend his campaign next week and endorse Mitt Romney, his spokesman has said. Mr Gingrich now says he expects Mr Romney, who won five primaries on Tuesday, to be the Republican nominee. The campaigns are said to be working out an orderly endorsement, with Mr Romney keen on Mr Gingrich’s support. He has won only two primaries – South Carolina and Georgia – since the election season began in January. The Gingrich campaign had indicated it would reassess its future if he did not win the contest in Delaware. 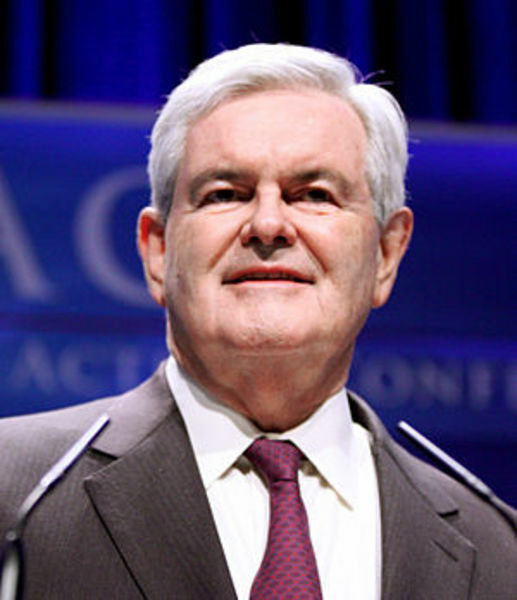 Mr Gingrich will reportedly hold his last campaign event on 1 May in Washington DC. During a campaign stop in North Carolina on Wednesday, Mr Gingrich all but conceded. “You have to at some point be honest about what’s happening in the real world as opposed to what you would like to have happened,” Mr Gingrich told supporters. The former House Speaker said he would continue to campaign for the next week as a “citizen”, adding he would discuss economic issues, such as high unemployment.